Whether you are a first-time home buyer, an experienced home buyer or a real estate investor, we at Bethany Real Estate and Investments always put your interest first. Buying a home can be one of the biggest investment that one makes in a persons life. We therefore take our role as a Real Estate Broker seriously and we represent your interest the best way we can, throughout the real estate investment process. My name is James Tan, I am a Broker at Bethany Real Estate and Investments. We are ranked 5-stars by Yelp, Zillow, Trulia and other rating agencies . We are among the best real estate agents in elk grove. 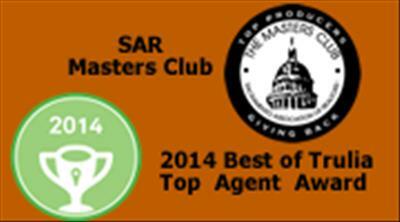 I am a member of Masters Club, a prestigious designation for top realtors from the Sacramento Association of Realtors and a Director at AREAA Greater Sacramento. With over 30 years experience, in real estate, investing and venture capital, I can offer you valuable & professional service and expertise. I only provides honest and straight forward advice. We offer the highest quality of service to our clients at the lowest commission. Whether it is in the Bay Area or the Greater Sacramento area, we will provide you with the latest comprehensive information that will help you to identify the properties that will best suit your needs.We will then help you negotiate with Sellers, Lenders, etc. to get you the best deal possible. We also link you with you with Banks, Mortgage Brokers, Termite Inspectors, Home Inspectors, Roof Inspectors, Contractors, and other service providers that will help you to close the deal efficiently and in the most cost effective fashion. For the Real Estate Investor that is looking to buy an undervalued property as an investment, we will provide a turn key service. From procurement, rehab (renovation), property management, maintenance, 1031 exchange, tax issues, resale, etc. we will provide you with the right information and the best professionals that can help you meet your investment objectives. For the First Time Buyer, we will provide advice with financing, identification of areas that provide good values, trends in these areas, negotiation, and everything else that you may need to realize the American Dream of owning a home. For the Foreign Investor, we are one of only a few real estate brokers in California who understand the needs of a foreign investor. We understand and can provide financing for the non-resident investor without social security numbers. We understand all of the Bay Area and Greater Sacramento area. We are area agnostic, and will research for the best value given the criteria required for the Investor. For the large investors, we are also able to provide foreclosure investments at the Trustee Sale to obtain the maximum proft margins. We will also provide a turn key service for rehabbing, property management and resale.